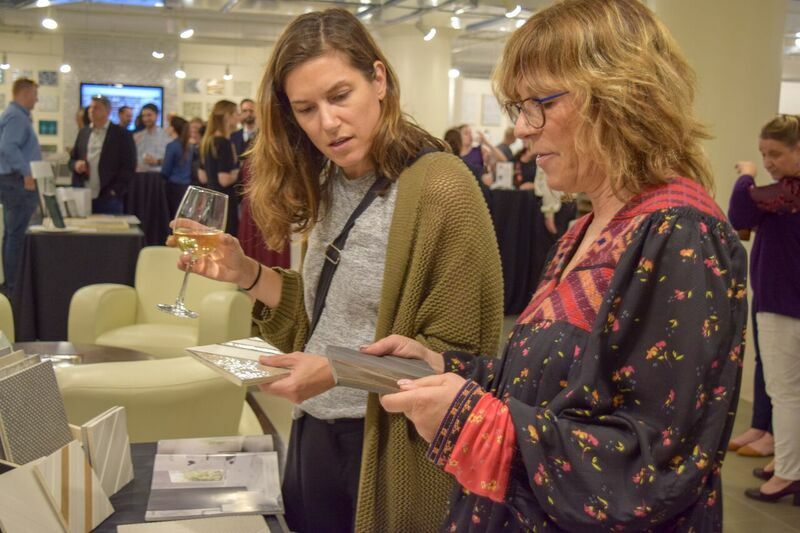 Upon entering the event local architects and designers from esteemed firms had the opportunity to network with Tile of Spain companies ADEX, Azteca, Colorker, Dune and Harmony for a first look at their latest product launches. 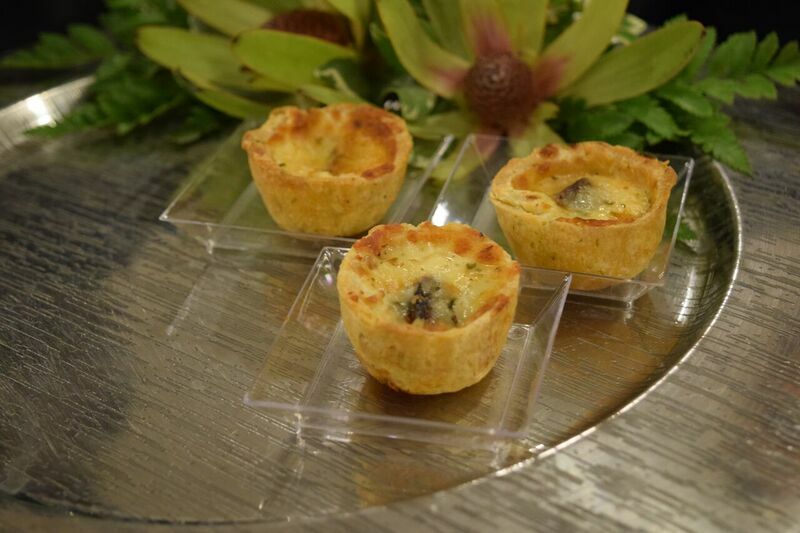 Attendees enjoyed wine, beer and traditional Spanish tapas including Catalanian Albondigas, Tomato Gazpacho, Jumbo Shrimp with Piquillo Pepper Dipping Sauce, Miniature Pressed Spanish Sandwiches, Herb Crusted Baby Lamb Chops, Capricho de Cabre and Olive Tartlets and Spanish Crab Cakes. 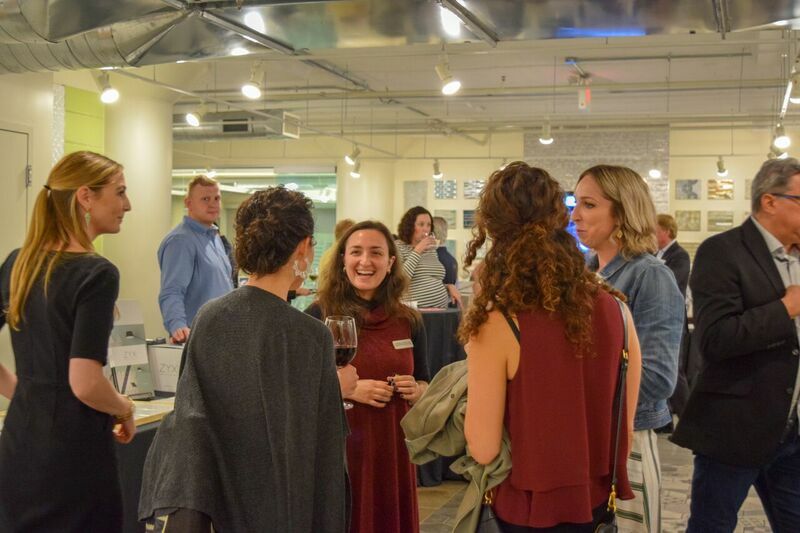 After guests enjoyed their refreshments, they headed over into the presentation room for the CEU. 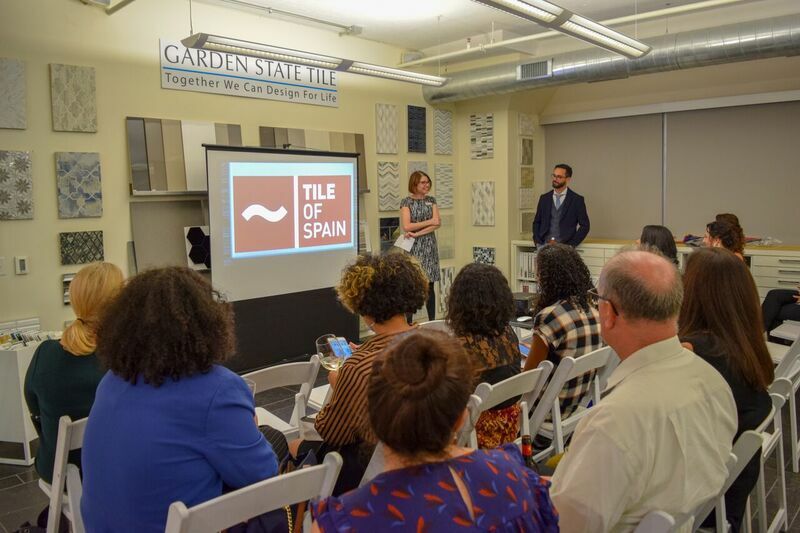 The presentation was introduced by Valerie Hutchinson, Domestic Sourcing Manager of Garden State Tile and the session was hosted by Tile of Spain Consultant Ryan Fasan. 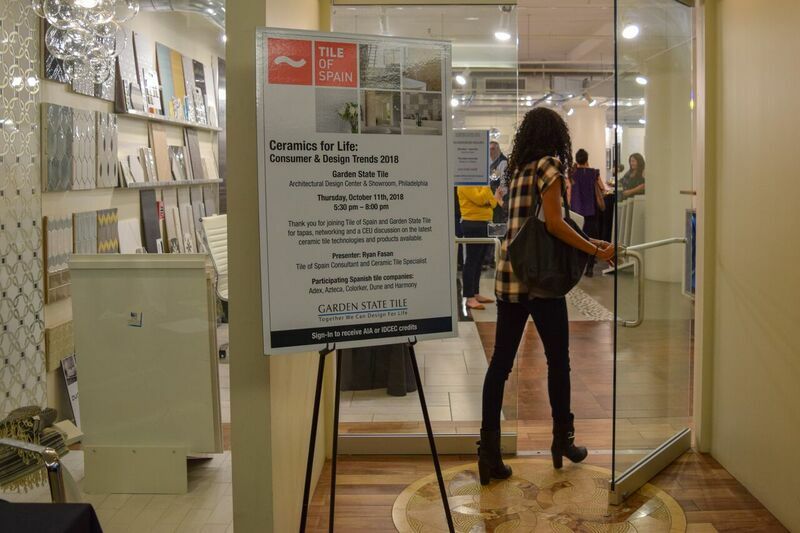 The accredited presentation and Q&A session explored what’s trending and what’s next in Spanish ceramic tile by comparing prevailing design trends that help architects, designers and field members develop a stronger understanding of modern ceramic tile’s broad appeal and applicability. 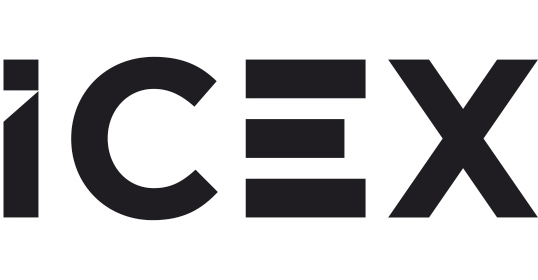 This entry was posted in Blog and tagged ADEX, Architect, azteca, CEU, Colorker, Dune, harmony, peronda, Philadelphia, tile of spain by Nikki Scalia. Bookmark the permalink.